Home Ink Cartridge News International Talk Like a Pirate Day! If you’ve noticed some of your friends and colleagues at work speaking like a pirate today, don’t be confused, you’re not losing your marbles! Today is International Talk Like a Pirate Day which started as an inside joke between two friends but became a global playful holiday. This doesn’t mean that you should drink rum or anything like that. 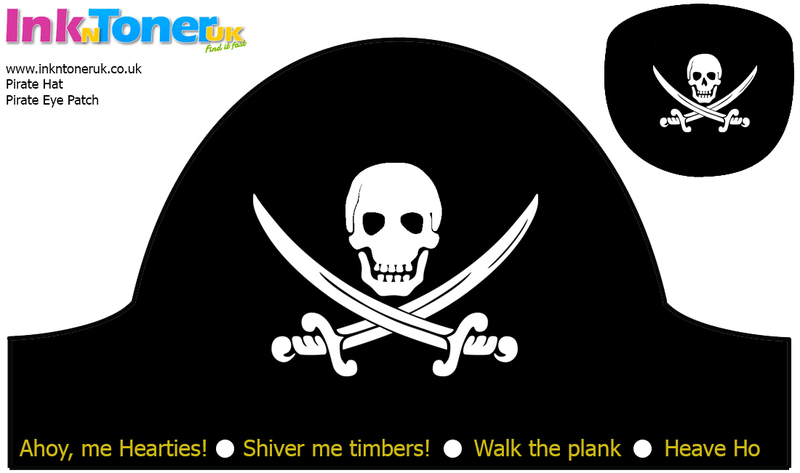 Today just means you can annoy people by using common pirate phrases, such as ‘Ahoy, me Hearties!’ or ‘Savvy?’. Not sure what pirate things to say? This Pirate Hat and Eye Patch may get you in to the spirit, and soon you will be speaking all piratey.